I love Palak. 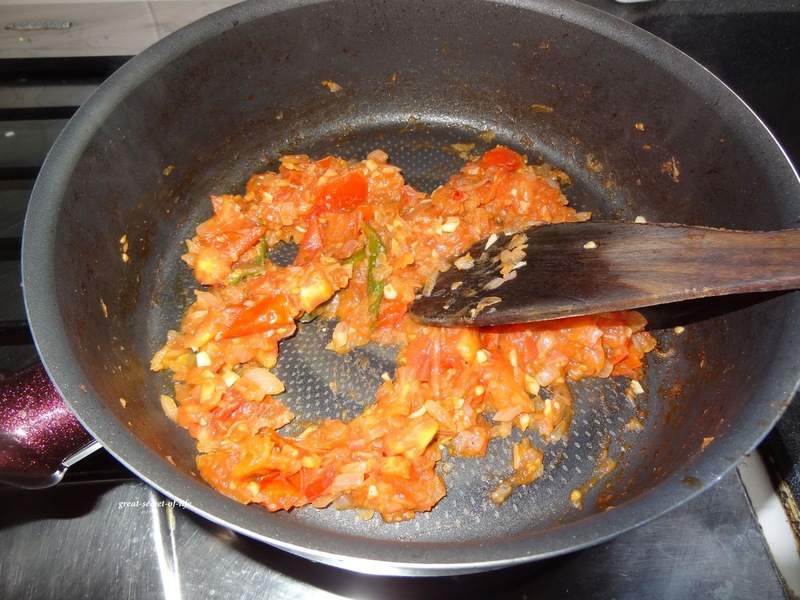 It makes it easier to make good and healthy side dish. Most of the time I do Palak Paneer. Once in a while I do variation to it. Potato is not something that my kids look forward to have. So I always find ways to sneak it in something they like. 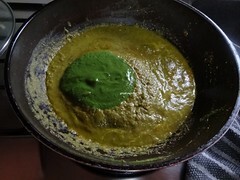 I had this Palak Potatoes when I visited my friend. I kind of like it. So I have decided to try. It came out pretty good. 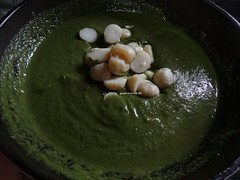 And of course no complain from my kids may be because potatoes are soaked in spinach gravy..
Cook the Potatoes. Peel the skin and keep it aside. 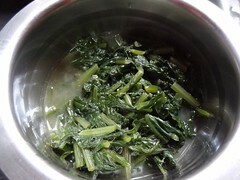 Cook the palak with little water. Switch it off and let it cool down. 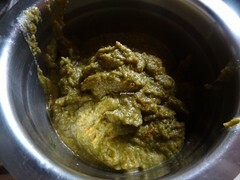 When cool down grind cooked palak to smooth paste using mixie or blender or food processor. Heat the kada again. 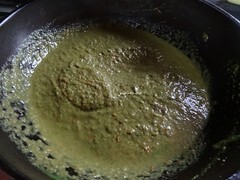 Add rest of the oil. Add cumin seeds. Let it crackle. 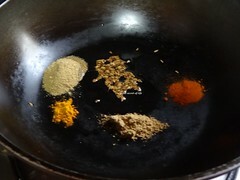 Add turmeric powder, Garam masala, coriander powder and chilli powder. Add onion tomato paste. Fry for 2-4 mins. 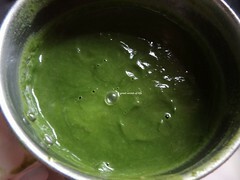 Add spinach paste. Add enough water so that you get desired consistency. Let it boil. 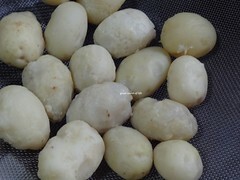 Add Cooked Potatoes and cook for another 7-10 mins. Love the color........ Looks tempting! 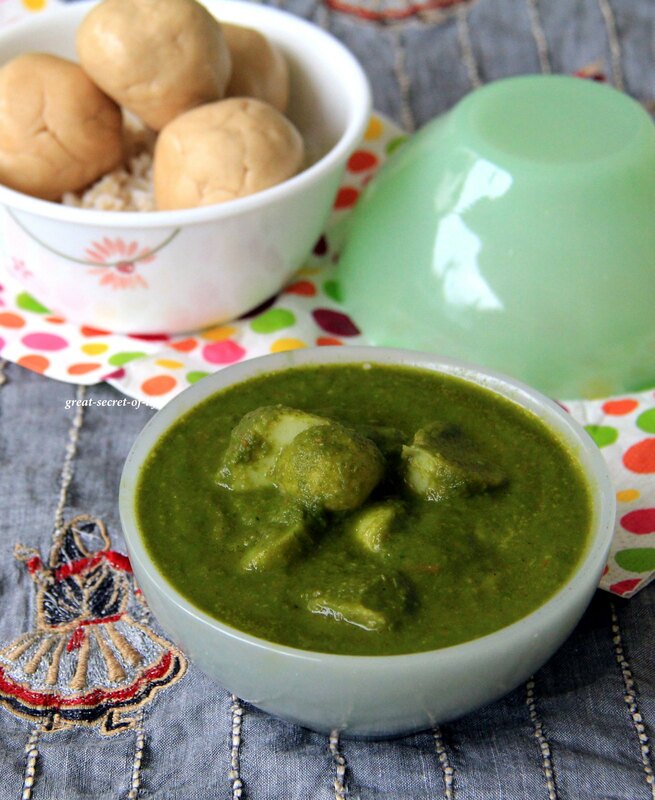 Hard to resist to this green gravy, so delicious..
Great combination. 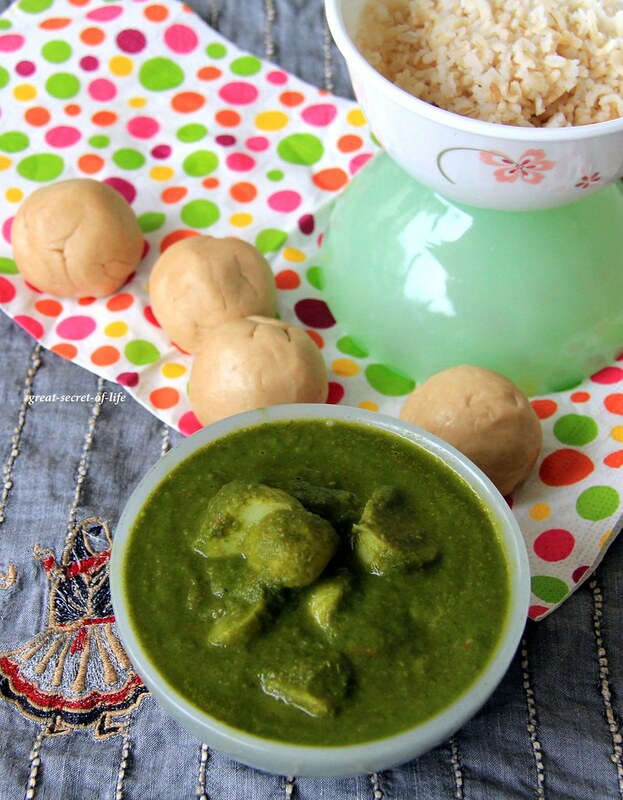 Who doesn't love a good potato curry, right? 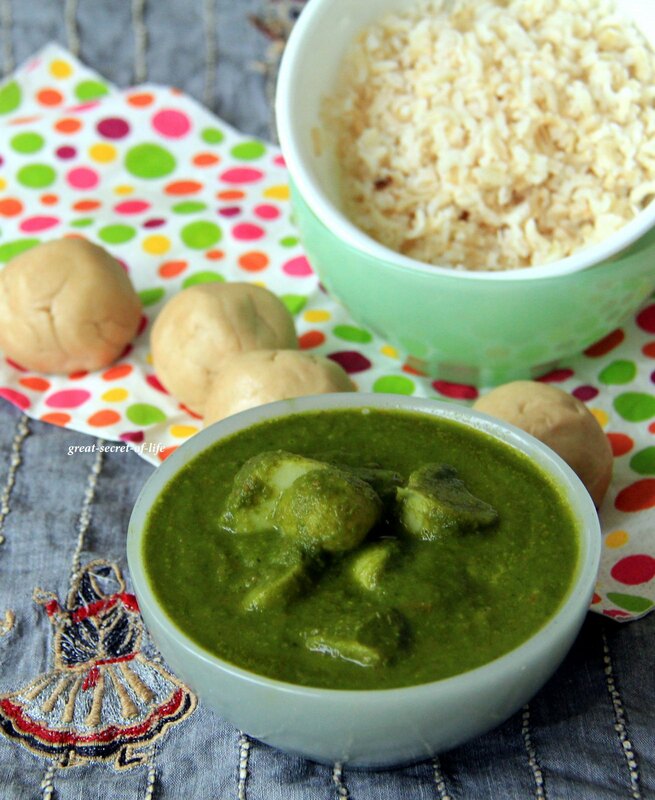 this is a nice variation to palak paneer. looking good.